People are living longer today than ever before, and they’re doing amazing things far into their 70s, 80s and 90s. One has only to look around to see examples of people defying their age, with many actually accomplishing more in their so-called “golden years” than they ever did when they were younger. Yet no matter how young we feel or how active we are, one thing is true for everyone: the body changes with age. Hormones decline in both men and women, which can affect fat deposits and change body shape. Muscle mass gradually decreases, particularly if we’re not working to counteract the natural decline. Bones, too, may become less dense and fragile, and ligaments and tendons become less elastic, making joints feel tight or stiff. Flexibility suffers and healing takes longer than it used to. 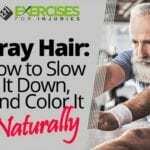 Hair starts to turn gray or thin while some actually shows up in unexpected places. Skin gets drier and starts to loosen and sag. Gravity starts to make itself known through drooping breasts, arms and bellies, and posture can start to deteriorate, particularly with hormonal changes and osteoporosis. Sometimes, however, it’s simply because we’re not thinking about standing up straight. Hearing fades, along with taste and smell and, without some concerted effort, the number of cells in the brain may also decrease. Fortunately, we can counteract many of these effects by staying fit and active. How we do that, though, needs to change after the age of 45. What worked for you when you were in your 20s or 30s won’t work as well when you reach middle age and beyond. 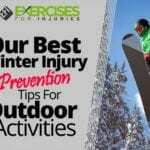 If you injure yourself, it will take longer for you to recover. Your muscles and bones need more focused attention to stay strong and that weight gain becomes a tougher nut to crack. Below, we’ve got five fitness rules after the age of 45 that you need to implement, along with seven of the best exercises you can do to maintain a youthful, responsive body and mind. When you reach middle age, you need to make some important adjustments to your workout to maintain the healthy body you have. Whereas you may have pounded the pavement hard in your 20s and 30s, it’s time to rethink what you’re doing to your body. Remember that muscles, tendons and ligaments lose some of their elasticity and may become injured more easily. Your joints, too, have been around for a while, and you want to preserve their function for as long as you can. Yes, you can undergo joint replacement surgery if you have to, but your natural joints are always best. 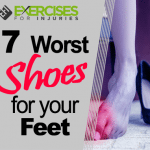 It takes longer to recover from an intense workout, which could actually bring your system down and leave you more vulnerable to infections or other ramifications or simply leave you with more aches and pains to deal with. 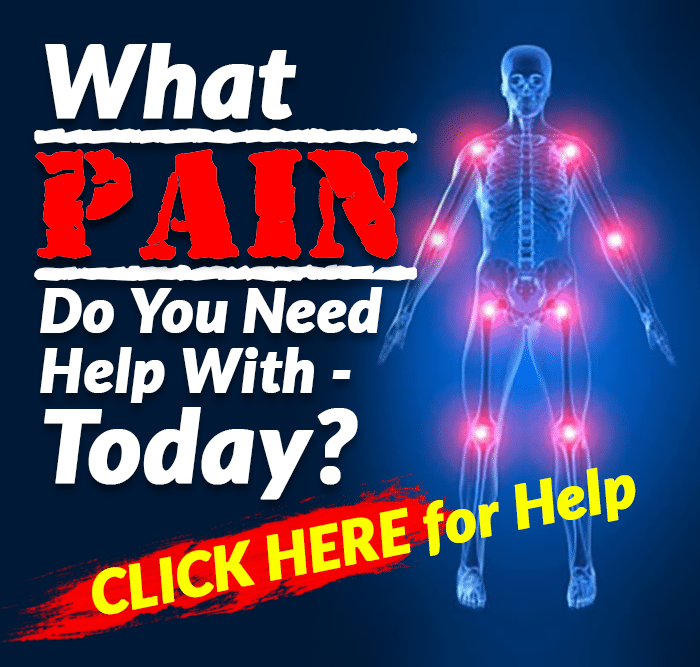 You know your body best, but if you’re feeling pain, don’t ignore it. Change what you’re doing so that pain doesn’t turn into something more serious. Overall, consider moderating your workout intensity. Remember that everything tends to get tighter as you age, which can leave you more prone to injury, especially if you don’t take the time you need to warm up adequately. Use a combination of light cardio and light stretching, warming up the muscles you’re going to use as well as the supportive muscles. It will increase circulation and help your body better manage the stress of exercise. It’s important to continue to challenge your bones as you age to help maintain a healthy bone density. However, remember that your joints may be worn, tight and less lubricated than they used to be. That means you may want to let up on the pavement pounding and keep your bones in mind. Look for weight-bearing exercises that go easy on your joints while still stressing your bones in a safe way. In the past, you may have been fine doing your cardio three or four times a week. As you age, however, that’s no longer enough to maintain a healthy weight. In a 2010 study, researchers found that only women who got the equivalent of about an hour of moderate activity daily avoided weight gain as they aged. The rest gained an average of about six pounds during the 13-year course of the study. Your risk for cardiovascular disease also goes up with age, so getting your heart rate up becomes more important. If you’ve been neglecting your stretches up until now, you can’t afford to do that anymore. Flexibility helps you avoid injury, but if you’re not consciously stretching your muscles most every day, you won’t stay flexible. Choose a favorite stretching exercise and stick with it daily. You may already be doing some of these exercises. If so, you’re ahead of the game — just make the adjustments listed above. If you haven’t tried these, however, consider adding them to your current workout or even switching some of these out for the more intense or high-impact exercises you may be doing now. This is one of the easiest and most effective exercises we can do throughout the course of our lives. If you’re afraid it won’t burn enough calories, remember — you can always bring your heart rate up by walking faster or by taking along some ankle or hand weights. Walking for a longer period of time, too, can help you burn just as many calories as jogging for a shorter period of time. In one study comparing walkers and runners, for example, researchers found that as long as participants used the same amount of energy (walkers walking for longer and at a brisk pace, for example), they saw about the same health benefits. Walking is easier on your joints, too, which makes it a good choice for those 45 and older. Even if you were used to hitting the gym and pumping iron before, now it’s time to consider the alternative: resistance bands. Not only are they more convenient — you can take them with you anywhere — but pretty much any exercise you do with them will require you to work your core, too, which is more important as you age. You’ll have to tighten the core for stability as you work with resistance bands, which can not only help improve balance but can help you avoid back pain as well. Resistance bands work several muscles at a time, so you’re not overly stressing just one group, which can protect you from injury. The biggest benefit is to your joints. When you’re using free weights, there tends to be a horizontal movement that puts consistent pressure on the joint, increasing risk for injury. Resistance bands create less pressure on the joints and provide a more even resistance that results in less joint compression. Finally, depending on the exercise you do, you can combine cardio with your resistance bands. If you walk, sidestep, or perform other movements with the bands, you’re working your muscles and getting your heart rate up, which offers a double benefit. This is a great exercise for those over 45 because a) it combines strength, cardio and flexibility, and b) it’s easy on your joints. On top of that, it works the entire body, so you do one workout and you’re done. In one study, subjects practiced Pilates for one to two hours a week for 12 weeks. At the end of the program, researchers found that not only had the subjects improved abdominal strength, their upper spine posture had improved too. This is a great side benefit for those hunched over their computers and phones all day! Finally, Pilates may help ease back pain. Studies have found that the exercises help stabilize the lower spine, providing for safe movement throughout the day. Jumping is a great exercise for many reasons. Jumping jacks, jumping rope, burpees (squat thrusts) and so on all use this efficient action, which helps work the bones and muscles and get your heart going all at the same time. The problem is that as you age, it can hurt your joints to jump on a hard surface, particularly your knees and hips. That means it’s time to get a rebounder, which is a type of mini trampoline that allows you to jump to your heart’s content without hurting your joints. Not only is it a fun workout that helps you burn calories, it’s also good for the lymph system. This is the fluid that carries away waste in the body, but it’s not pumped along by the heart like blood is. To get your lymph moving, the body has to move, and jumping is one of the most efficient ways to do that. In a 2016 study, researchers tested rebounding in middle-aged overweight women for 12 weeks. Results showed a significant improvement in body composition, including fat mass, waist circumference, and lean and muscular mass. The women also experienced a reduction in blood pressure, and an improvement in blood fat and sugar levels. Rebounding also helps maintain or improve balance and, besides that, it’s just fun, so you may do it more often. You may have enjoyed your bike when you were younger, but many adults lose the pleasure of biking when they get older. 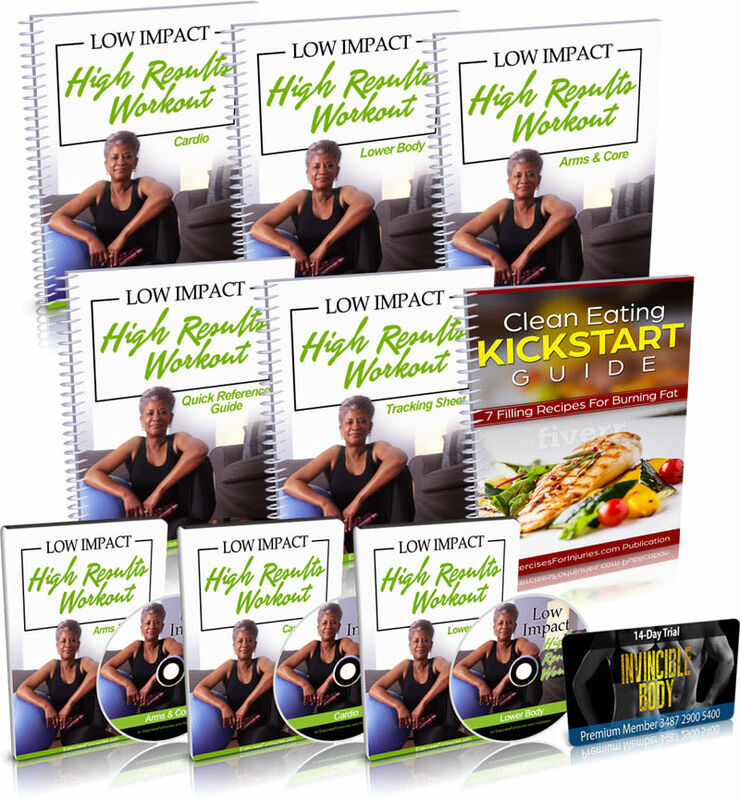 This is one of the most frequently recommended low-impact exercises because you can really work up a sweat without taxing your knees or hips. Even if you live in an area where the winter weather gets tough, you can still do this exercise at home if you have an exercise bike, many of which are really economical to own. If you’re someone who has to commute only a short way to work, you may also want to consider hopping on a bike instead of getting into your car. According to a 2017 study, biking to work was associated with a 45 percent lower risk of cancer and a 46 percent lower risk of heart disease, compared to those who drove or rode public transportation to work. No list of low-impact exercises would be complete without swimming. It is the king of low-impact exercises as your body is supported by water so you’re not stressing your joints. In fact, swimming is so good for you that according to a recent study, it may actually help you live longer. In one study of about 40,000 men aged 20 to 90 years, researchers found that swimmers had a 53 percent lower risk of death than men who were sedentary, but they also had a 50 percent lower risk of death than walkers, and a 49 percent lower risk of death than runners. Swimming offers a whole-body workout, increasing your heart rate, toning muscles and building strength and endurance. It also forces you to work your lungs, which may be good for you in the long term. If you want to get in shape with a partner and enjoy yourself in the process, dancing is a great option. Most types (including ballroom, square dancing, Jazzercise, belly dancing and more) are low-impact forms of exercise and all will give you a good cardio workout. The moves require balance and coordination, working a number of different muscles at the same time and can also help you improve your posture. Beyond these benefits, dancing may also help preserve your mental sharpness. According to a 2017 study, we tend to process information more slowly as we age, so researchers decided to study the effects of three forms of exercise: dance, walking and a combination of stretching and toning. They had participants do these activities regularly for six months. Results showed that only those in the dance group increased their brainpower — as evidenced by the presence of more white matter in the brain, seen in MRI tests. Researchers theorized that the benefits came from the fact that dance incorporates exercise and social engagement at the same time.